I used her recipe as reference but made my own version that is a twist on hers. 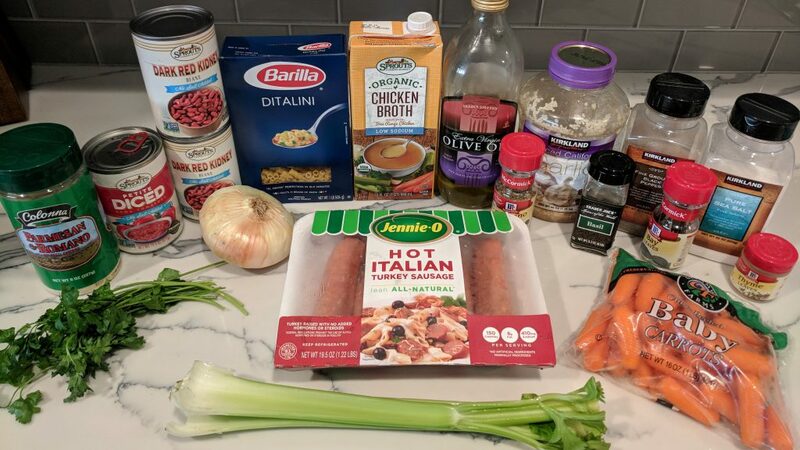 I used the crock-pot, added my favorite Jennie-O Hot Italian Turkey sausage, some veggies and a bunch of spices to make this hearty and homey. Per serving this recipe has 450 calories, 13g fat, 50g carbs and 32g protein. If you want to reduce the carb content just use 1/2 cup of pasta, rather than 1 cup. 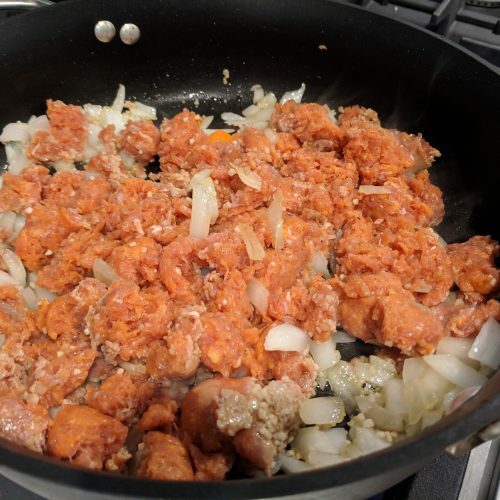 If you want to reduce the fat content, cook the sausage and onion without olive oil (although the onions won’t saute as nicely). If you are gluten-free, do not fret! Just use a gluten-free pasta! There are different brands in the local supermarket or you can even use quinoa pasta instead! 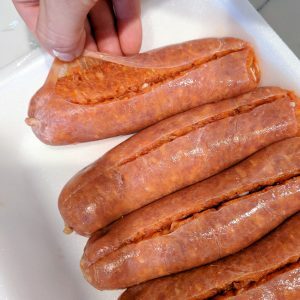 If you are vegetarian, just leave out the sausage. 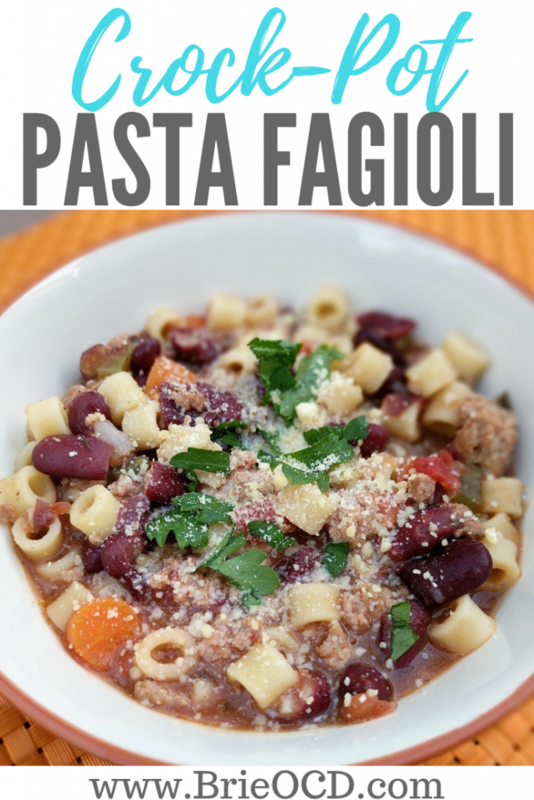 Leaving out the sausage eliminates steps 1-3 below making this recipe easy peasy! 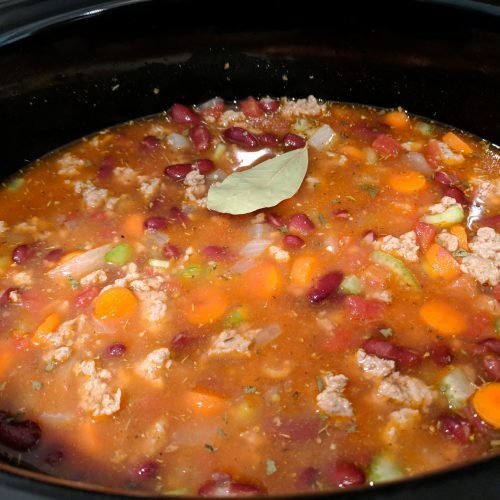 I made this soup in the crock-pot, however you can make it on the stove top. 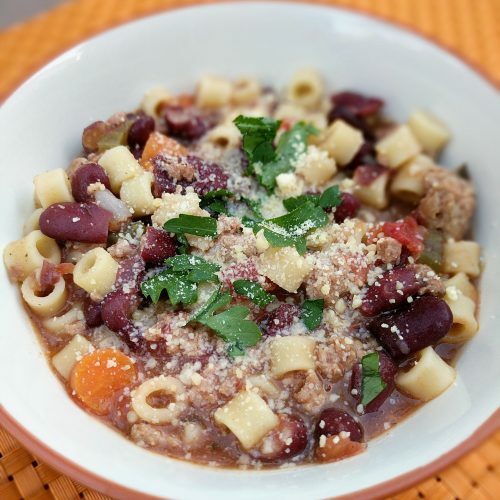 Follow steps 1-3 below and then add all ingredients (excluding pasta) to a large soup pot. Cook until the vegetables are tender and meat is no longer pink. Add in pasta about 7 minutes before you are ready to eat. Hope you enjoy and this reminds you of your grandma’s homecookin! 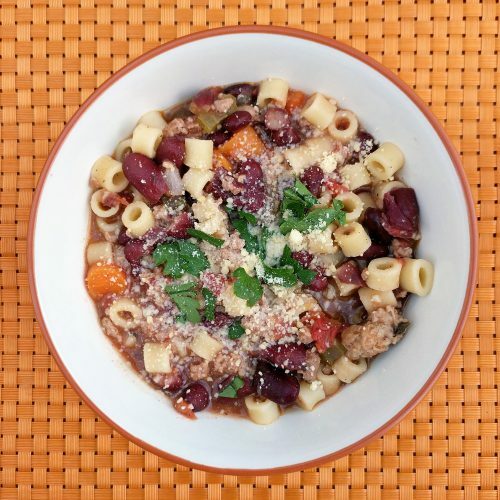 a delicious and healthy soup filled with veggies, beans and turkey sausage. over medium heat, add olive oil to saute pan and let heat for 30 seconds. add minced garlic and let heat for another 30 seconds. 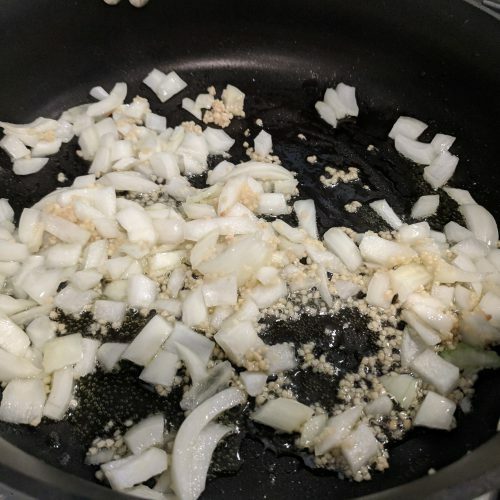 add onions and cook for 1 minute or until slightly translucent. add sausage to pan and brown for about 3 minutes. (pls note sausage will still be pink in some areas). Drain. 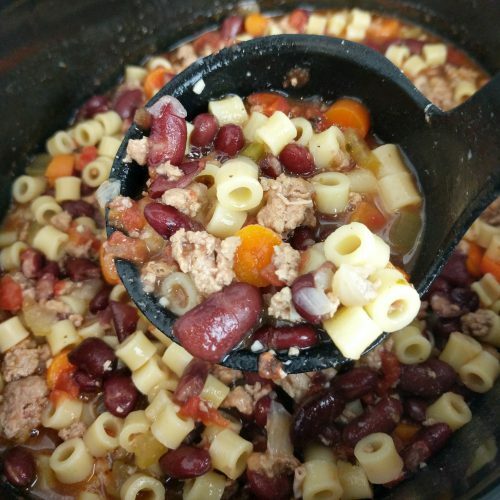 add all ingredients EXCLUDING PASTA to the Crock-pot. stir. set on low for 7 hours or high for 3-4hrs (carrots should be tender). with 30 minutes left on the timer, discard bay leave, add in pasta and stir. top with Parmesan cheese, parsley and enjoy!